When it comes to e-mail marketing, we work with you on the strategy your scarce resources should take to ensure you successfully reach & engage - increasing click through rates which in turn increases conversions. Our email marketing solutions enables you to check in with existing customers and also reach new prospects. When it comes to e-mail marketing, we recognise current trends and the strategy that your efforts should take to ensure you successfully reach & engage – increasing click through rates & thus increasing conversions. The templates we will develop for you are optimised for mobile devices with responsive design ensuring that if they’re on the mailing list, they can read the email. We cover all elements for a successful and fruitful e-mail marketing campaign. From the initial stages of setting up your email list, integrate your email template, and build in the functionality for managing the subscribes, un-subscribes and email to a friend in real time. This service gives you the flexibility to send emails whenever you need to cost effectively. With the ever increasing consumer usage of smart phones and tablets, ( 1.6 million smartphones in use in Ireland – back in April 2013, so in 2015 you can expect that to be well in excess of 2.5 million ) and with approx. 47% of marketing mails landing in mobile inboxes, we understand the need for business to create emails that are “fit for purpose” which these days means they are optimised for responsive design ! 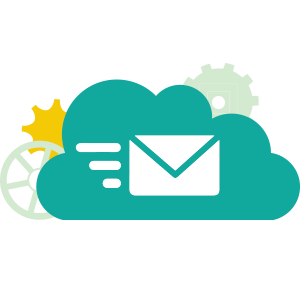 Our e-mail marketing solutions also includes reports, allowing you to gauge what you’re doing right, and what could be improved upon. Keeping you up to date on the performance of every effort you make. Easy administration of your email list. Total customised control of the emails you send. Complete analysis of the success of your email campaign at the touch of a button. Talk to us about a fast, affordable solution for your business! Contact us now!